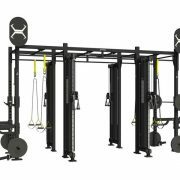 The 14 x 4 foot Monkey Bar Cable X1 package provides two end unit Olympic training stations and functional training for up to four with four XCCS cable component stations on the other separated by 14 foot of monkey bars. Alternatively, the cable component stations can provide two DAP machines. 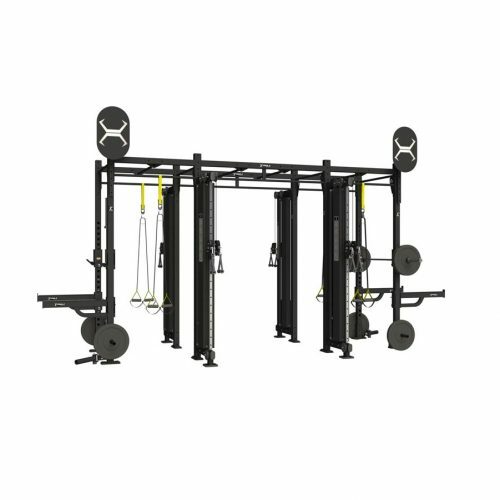 X-Racks can be customised and scaled up or down to meet your needs with various pull-up, training station and storage options. They can be customised to suit any space and function. 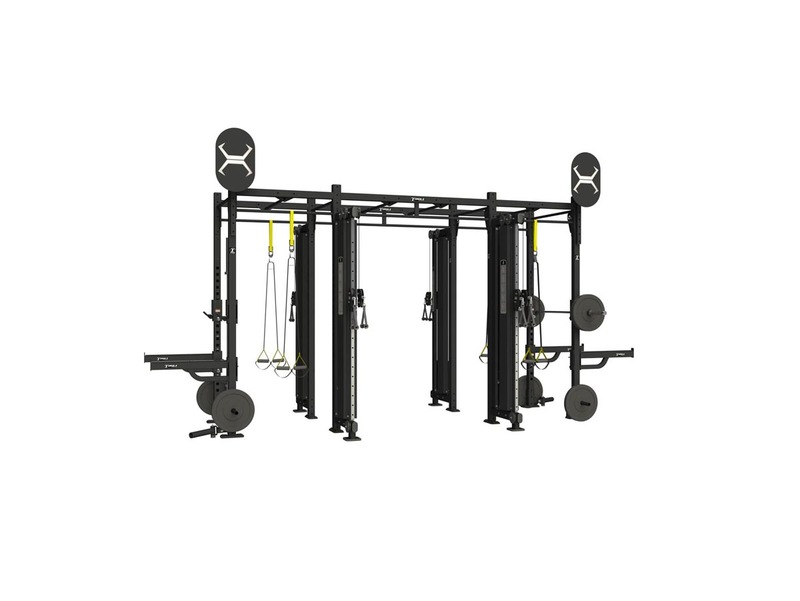 We can supply the complete the X-Series Accessories. For a complete list of options or for any custom requests, please contact us. 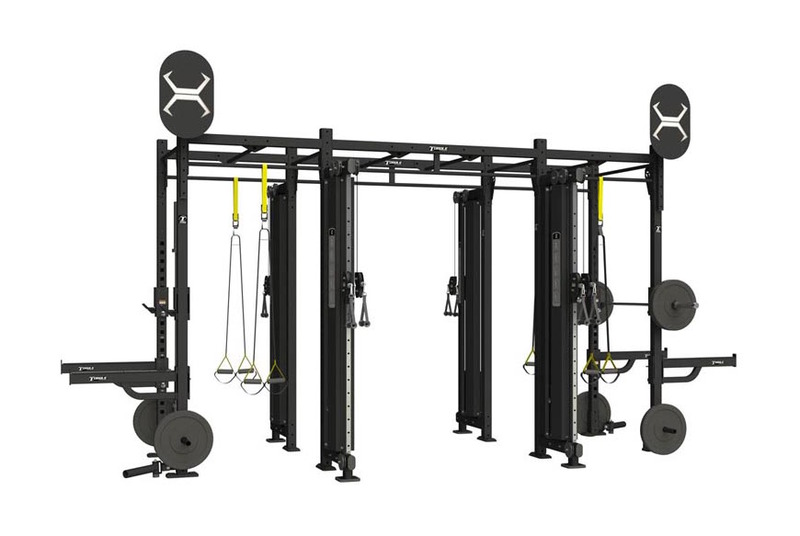 The X-Racks are required to be secured to the floor. 10 year frame and welds/1 year parts/90 days misc.